Startups in the financial technology segment were the flavour of the week even as Dream11 hogged the limelight for becoming the first Indian gaming venture to enter the unicorn club. In all, at least 18 startups raised more than $410 million this week across sectors including hospitality, e-commerce, fintech, hyperlocal, software-as-a-service and health-technology, among others. Fantasy gaming platform Dream11 Fantasy Pvt. Ltd entered the unicorn club as Hong Kong-based hedge fund Steadview Capital joined its investor pool via a secondary transaction. Dream11 did not disclose the quantum of investment or divulge details of the returns made by the selling investors. It also did not disclose its exact valuation. 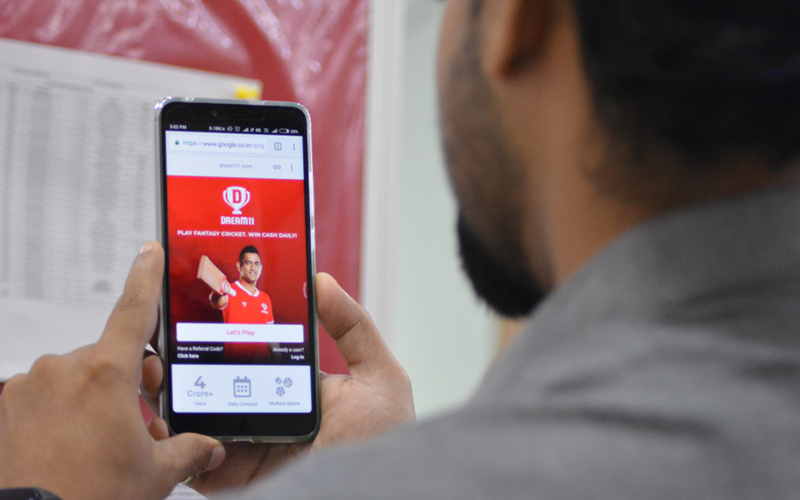 The development came a month after TechCircle reported that Steadview would lead a $100 million (Rs 710 crore then) investment in Dream11, valuing the company between $1.3 billion and 1.5 billion. Dream11 also counts Chinese gaming and social media company Tencent as an investor. Dream11 was incorporated in 2007 by Harsh Jain (chief executive officer) and Bhavit Sheth (chief operating officer). The platform allows users to create virtual teams comprising real-life players and lets them organise a match based on statistical performances of those players in actual games. How much did Airbnb invest in OYO? A week after home-sharing marketplace Airbnb said it had invested in SoftBank-backed budget hospitality chain OYO, regulatory filings shed light on the value of the transaction. San Francisco-headquartered Airbnb pumped $75 million (Rs 519 crore) into homegrown OYO at an estimated valuation of $4.3 billion. TechCircle has learnt that Airbnb is likely to invest more in OYO as part of the strategic partnership, but an additional infusion will depend on the evolution of the collaboration. While announcing the investment, Airbnb had said it expected to leverage the investment in OYO to gain access to franchised and leased hotels to expand its offerings from its staple home rentals. San Francisco-headquartered lending company Branch International, which recently entered India, raised $170 million in a Series C round of funding led by US-based Foundation Capital and multinational payments firm Visa. The company plans to deploy the capital to build its operations in India. It is among the first few players to get a mobile-only non-banking financial company (NBFC) licence in India from Reserve Bank of India (RBI). The micro-lending startup disburses loans with ticket sizes in the range of Rs 500-50,000 and is accessible via a mobile app. Another fintech company which received fresh capital was Bengaluru-based payment gateway startup Cashfree. The business-to-business venture secured $5.5 million (Rs 38 crore) in its Series A funding round led by South Korean venture capital firm Smilegate Investment. Cashfree’s application programming interface banking platform lets businesses send money round-the-clock and instantly to bank accounts using the Unified Payments Interface (UPI) and credit and debit cards. Later in the week, a former adviser at venture capital firm Aspada Investments, Sahil Kini, and a former developer head at digital database initiative IndiaStack, Nikhil Kumar, raised funding for their new fintech startup called Setu, which intends to bring India’s middle class online. Setu secured $3.5 million (Rs 24.5 crore) in a seed round led by venture capital firm Lightspeed India Partners, with participation from the Bharat Inclusion Seed Fund. The Bengaluru-based company will deploy the capital to build an engineering team and its technology infrastructure. Setu partners with financial institutions, creates accounts and manages them, routes payments across networks, and claims to absorb the complexity of regulations for businesses who want to offer financial services to their customers. Customer lifecycle management platform CleverTap raised $26 million (Rs 179.4 crore) in a Series B round of funding led by existing investor Sequoia Capital. The startup said it planned to use the capital to focus on product innovation for enterprises and accelerate its data science-driven product capabilities . E-commerce giant Flipkart’s chief executive officer Kalyan Krishnamurthy topped up his investment in online learning platform Unacademy. As per TechCircle estimates, the company’s current valuation now stands at $380 million. Krishnamurthy also bet on home services marketplace UrbanClap Technologies Pvt. Ltd, which offers close to 100 local services and is present in 12 cities in India. Medical-technology startup SigTuple Technologies Pvt. Ltd raised $16 million (Rs 111 crore) in a Series C round of funding led by Trusted Insight, a US-based networking platform for institutional investors, for developing new lines of business. Dunzo Digital Pvt. Ltd. which runs daily task management app Dunzo, secured another $9.84 million in fresh funding led by existing backer Google. Dunzo’s valuation now stands at $60-65 million. Health-technology startup Medlife International Pvt. Ltd received funding of $17 million (Rs 118 crore at the current exchange rate) from the family trust of its founder Tushar Kumar. There were three acquisitions in the startup segment this week, with two being announced on Friday alone. The most prominent of the lot was Naspers-owned PayU’s acquisition of California-based digital payment security and mobile payment technology firm Wimbo for $70 million (Rs 483 crore) . As part of the deal, PayU will acquire Wibmo’s payment offerings, including payment gateway solutions and security solutions. PayU said the deal was aimed at expanding its reach in India. Wibmo founder Govind Setlur will now join PayU’s leadership team in India. Netcore Solutions Pvt. Ltd, which develops enterprise communication and digital marketing solutions, acquired Quinto.ai, which provides firms with chatbot services fuelled by artificial intelligence (AI), for an undisclosed amount. As part of the deal, Rebel Foods Pvt. Ltd (formerly Faasos Food Services Pvt. Ltd) exited Quinto.ai. Rebel Foods is an internet kitchen platform which owns and operates a number of brands including Faasos and Behrouz Biryani. Quinto.ai’s chatbot can be integrated with Facebook Messenger, WhatsApp, Slack and other chat platforms. Additionally, health and fitness startup CureFit, led by Myntra co-founder Mukesh Bansal and former Flipkart executive Ankit Nagori, on Friday announced that it had acquired cold-pressed juice brand Rejoov for an undisclosed amount.